What is the name of the magazine published by the Writing Center? - Ask Us! Q. What is the name of the magazine published by the Writing Center? 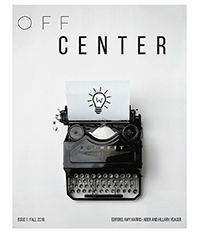 The Writing Center published the first volume of their online magazine, Off Center: A Writer's Magazine for MTSU Community in fall 2016. The magazine is published annually.